We produce our full season in downtown Zumbrota's historic State Theatre. 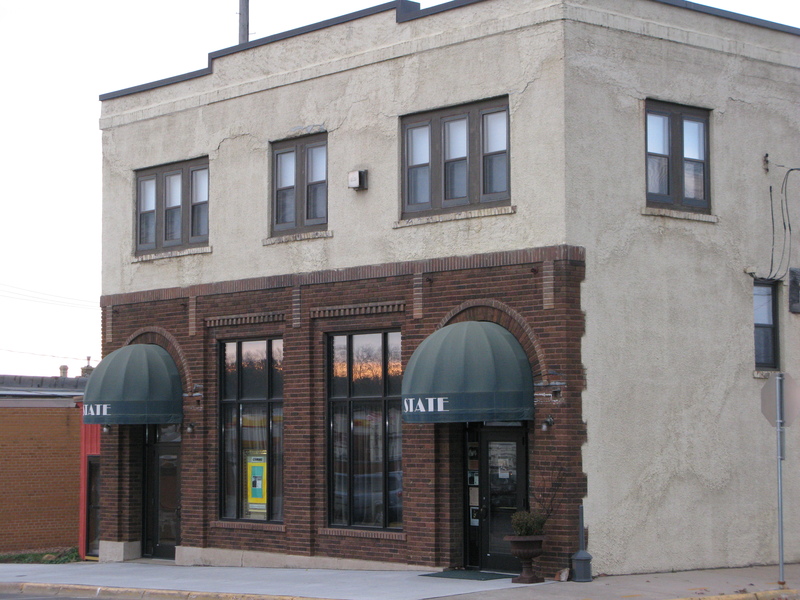 First established as "the best live theater outside of the Twin Cities" in 1921, the venue produced vaudeville, radio shows, plays, and silent movies. Since 2010, the theater has become a popular venue for concerts, movies, plays, and musicals. In 1999 the Zumbrota Area Arts Council (ZAAC) produced its first theatrical production with the holiday presentation of The Nutcracker, a joint project with Robyn Hoven and the Zumbrota Dance Studio. This collaboration continued for several years. In 2000, ZAAC took a step into producing musicals. Bye Bye Birdie was staged at the Zumbrota-Mazeppa High School auditorium under the direction of Jim Borden in September with a large cast of area adults and teenagers. Demand for tickets was high and a second weekend was added. The sold out performances exhibited an audience enthusiasm that encouraged ZAAC to maintain a theatrical tradition. Sometime in the mid-2000s, the community theatre group named itself Z-Theatre and began operating with ZAAC as their parent organization. The community of Pine Island also had a tradition of staging large musicals every other year. Due to the shared nature of the talent pool, ZAAC decided to offer its musical on an alternating basis with Pine Island. ZAAC’s second show was Hello Dolly! directed by Daved Driscoll in September 2002 and presented at the Zumbrota-Mazeppa High School. In 2004 The Music Man took the stage, again at Zumbrota-Mazeppa High School under the direction of Daved Driscoll. The following fall he directed the play Arsenic and Old Lace, again at the high school. Then in September 2006, Driscoll directed his last show for ZAAC, when they presented My Fair Lady at the Z-M High School. Z-Theatre hit the pause button in 2008 when the Zumbrota-Mazeppa High School was undergoing major renovations and the auditorium was not available for use. About this same time, Zumbrota’s historic State Theatre became available as a performance venue. Due to changes in the film industry, owners Bob and Connie Hawley had made the decision to discontinue regular movie offerings. The Hawleys, always strong proponents of the arts, offered the space to Z-Theatre, reviving a decades old live theatre tradition at the State. The first Z-Theatre production at the State was Nunsense in August 2010 under the direction of Cathy Nagler. Community support was again tremendous. Capacity crowds and supportive local business sponsors spelled success and a determination to continue. At the end of 2011 ZAAC purchased the State Theatre to preserve both the historic building and Zumbrota’s arts traditions. Live music, theatre, films, speakers, and other events have found a home there since spring 2012. Excited by the response to Nunsense and enthusiastic about working with another small musical, Lori Rauen and JC Koepsell took the director’s helm for Forever Plaid in August 2012. The side-splitting production packed the house again and led to renewed interest in more regular productions. Summer of 2013 saw the debut of an original production by Rochester playwright, Joan Sween. The comedy Don’t Tell My Wife was produced by Z-Theatre, directed by Eric Decker, and presented at the State Theatre. Two musical productions were staged at the State Theatre during the summer of 2014. Bingo! The Winning Musical took the stage in July under the direction of Sandra Miller. In August, local playwrights Luke Davidson and Jonathan Horn produced and directed their original musical Circus of Terror, once again packing the house and delighting audiences young and old. Several years later, Circus of Terror was chosen as one of nine entries in The New Voices Project, a prestigious musical theatre development program based in Los Angeles and hosted by New Musicals Inc. (NMI) and Walt Disney Imagineering Creative Entertainment. The summer of 2014 was followed by a several year re-energizing hiatus, with several Z-Theatre members pursuing further education. Some of the biggest challenges in producing a show are finding a director, volunteers to lead the many aspects of production, and cast members. Z-Theatre is a loosely organized, open and welcoming organization that encourages community participation, but in recent years free time is a precious commodity that fewer and fewer people have. In 2018, Zumbrota native and experienced thespian Dylon Starr approached Z-Theatre with a proposal to bring live theatre back to Zumbrota. He had directed a highly successful production of Legally Blond at the ZM High School in March and was eager to revive the live theatre tradition in his home town. His skill and enthusiasm were key to re-engaging the organization. Under Starr’s direction, the first production of Z-Theatre’s 2019 season will be Return to the Forbidden Planet, a rock n’ roll musical featuring Shakespeare’s The Tempest in a campy sci-fi movie format. Support Z-Theatre's ongoing efforts to bring high-quality, live, local theatre to Zumbrota. Make your tax-deductible donation today!